throw a few athletes in an art studio with lots of art supplies — what do you get? for adidas, they got a fantastic new campaign lining their theme “impossible is nothing”. more than 30 international sports stars and everyday athletes tell their ‘Impossible’ stories using their own hand-drawn illustrations and paintings. 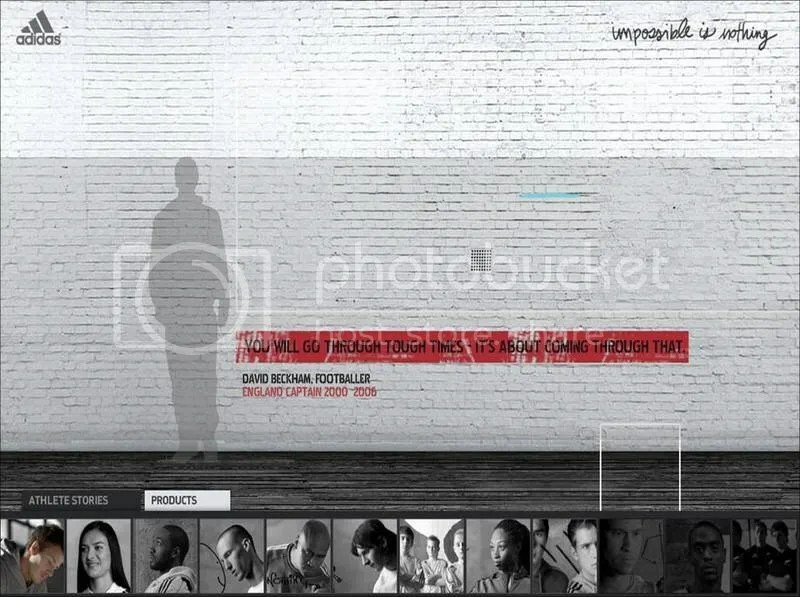 each athlete chose a defining moment in their life and then illustrated it through images and words which would later be combined to create the campaign. this created a wealth of material which consumers will see in commercial films, posters, books, documentaries, exhibitions and even clothing designs. (how smart!!!) in film, print, digital, and retail content, the athletes’ real-life experiences come to life through animated films and static images created by the athletes themselves. the results are deeply personal, edgy and refreshingly honest. 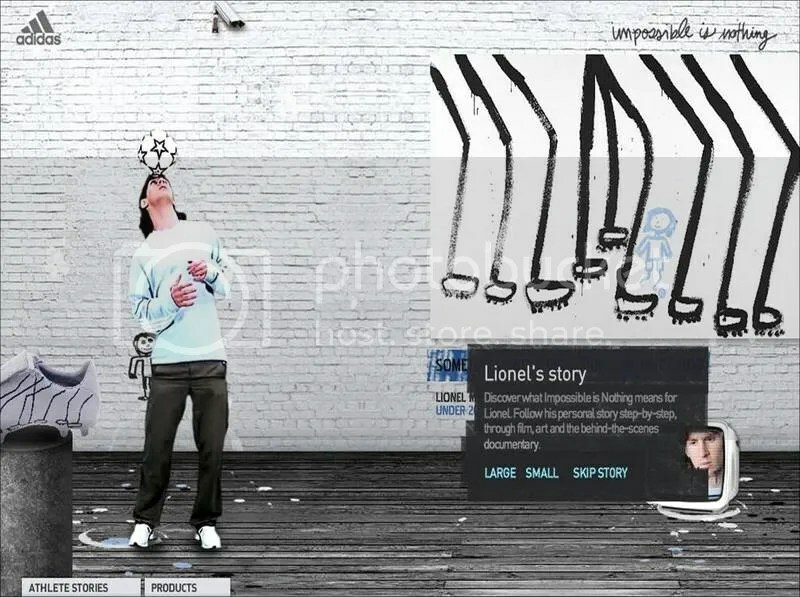 the integrated campaign will launch simultaneously on a global and local level and includes 21 TV commercials, 15 documentaries, 1 long-format film, behind the scenes footage, print, large scale outdoor as well as exclusive digital content to be found on http://www.adidas.com. The artwork created by the athletes will also be featured in a travelling exhibition that kicks off in March. the concept, created and executed by adidas’ global advertising partner 180 Amsterdam (180/TBWA) is the latest in a long line of successful collaborations between the two in recent years. 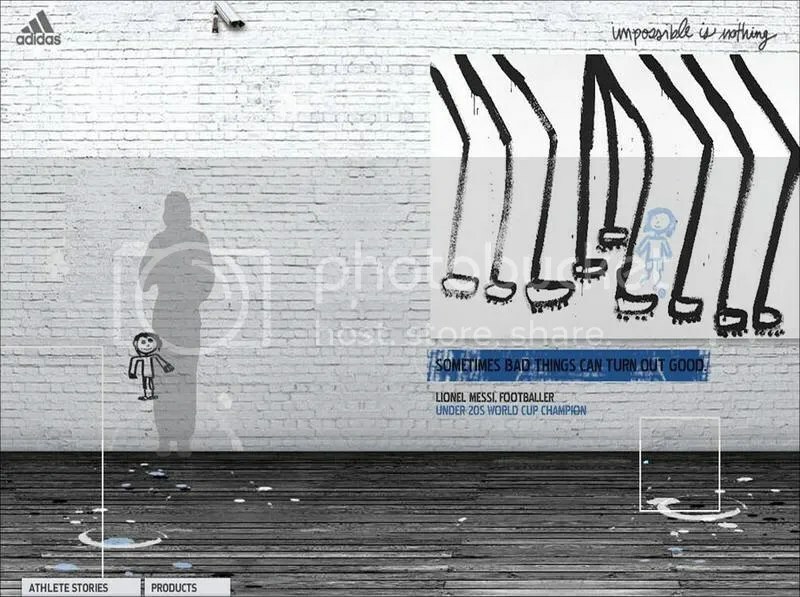 from the original ‘Impossible is Nothing’ launch campaign in 2004 which was built around Muhammad Ali, to the memorable meeting of English ‘kicking gods’ David Beckham and Jonny Wilkinson and, most recently, the award-winning football World Cup campaign +10. check out the latest work for adidas and you’ll be the judge. i think you’ll love it as well! “My name is David Beckham and this is my story. I’m feeling goose bumps now. I never felt safe for 3.5 years. don’t you just love his accent? i saw this ad today in the cinema and that got me intrigued to find out more about the campaign. can’t help but fall in love with the story and idea behind this campaign. through stories of real people attempting and achieving what once seemed like impossible goals, adidas hopes to inspire people to think about their own obstacles and how to overcome them. i was greatly inspired by the athletes’ stories. you see their achievements and they become your idols. but you never thought they had to go through tough times to get to where they are right now. to end off, i’ll like to leave you with a thought from Richard Bullock, Executive Creative Director, 180 Amsterdam — Wouldn’t it be amazing if all advertising could be this inspiring and meaningful? That’s a great post, thanks! 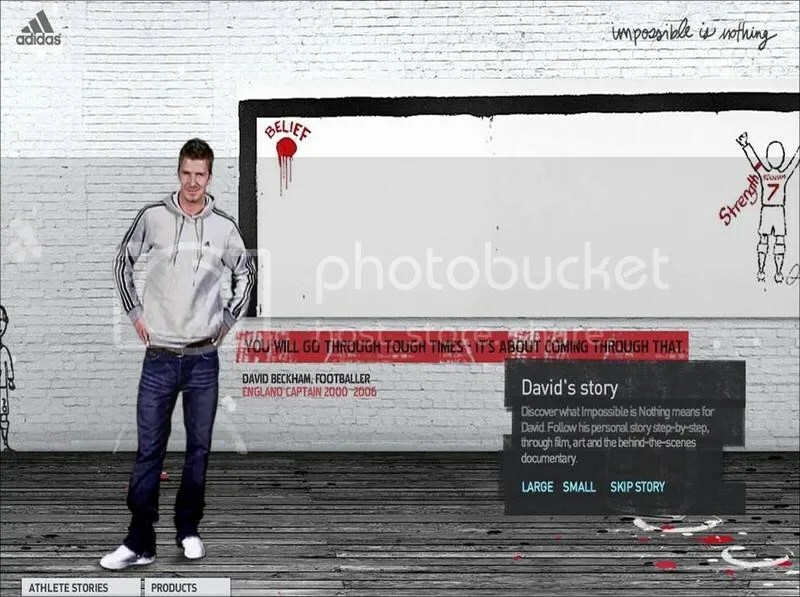 Do you have the dialog for all ads beside Beckham?? Like Gilbert Arenas and all his words? Because this is very inspiring for me. amazing very touchin awesome advertising i would buy addais now just for that advert a lot more shud be like that!! !